Simply the best by-pass rolling door available. Today’s popular barn door style with a silky-smooth rolling door system makes for a luxurious experience. 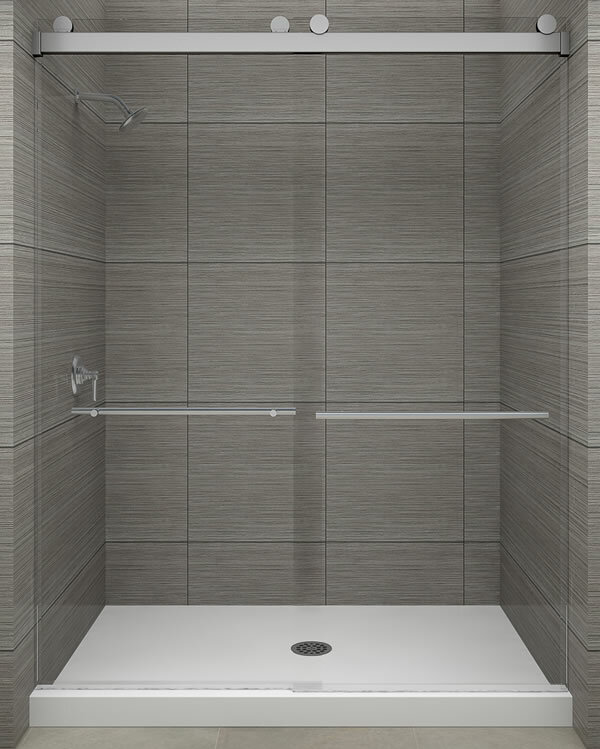 Choose from Polished or Brushed Stainless in 3 standard stock sizes with ShowerGuard glass. Allowance for Out of Square, 3/16” Left or Right, 3/16” Bottom. Or customize size for any opening and choose your glass and handles to fit your décor. Coming soon… Matte Black and Oil Rubbed Bronze finishes.